Lim Fang Ni already possesses traits that make a good lawyer, even though as an afterthought the charismatic young woman says she’s not yet certain if the legal practice is her calling after all. That uncertainty may yet change as she has just landed the prestigious King’s College scholarship to complete the remaining two years of her LLB in the UK’s capital. Even more remarkable is her staggering score of 297/400 – the best mark of all Year 1 students anywhere in the world in the University of London LLB exams. The twenty-year-old Kajang native who completed formal education at the SMJK Yu Hua Kajang, communicates with ease and confidence, displaying good judgment and choice selection of words and a probing, analytical mind. She is, after all, a straight As science stream student whose original options were quite a range – MBBS, Electrical and Electronics Engineering, Psychology or International Business with Psychology. It would seem like her older brother also played a part in building her resilience. He had tried to scare her off from pursuing the sciences at SPM, telling her how hard the subjects were and that she was going to fail. On the contrary, the warnings only served to strengthen her resolve to prove him wrong. “Yes, you can say I thrive under challenge,” the lanky, bespectacled twenty-year-old laughs again. 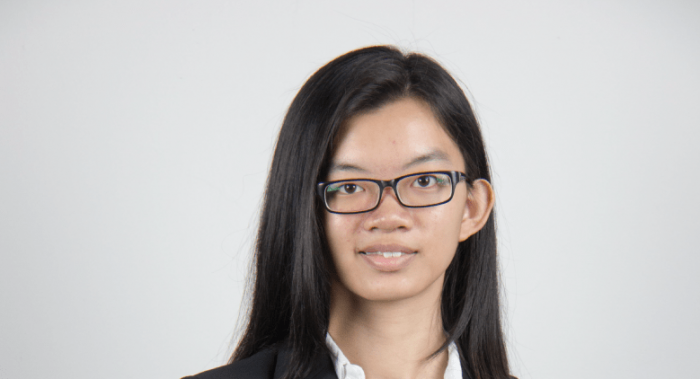 Fang Ni applied the same attitude in BAC to excel in her A-levels and subsequently in her first year of the LLB where she achieved her enviable score in one sitting of all four subjects. Lack of English proficiency was one nagging trouble for the young woman who grew up in a Chinese speaking environment in both her home and school. “It really helped that most of my course mates in BAC were Indian and only spoke in English. The hours spent in communication with them, on the pretext of group studies of course, actually ended up helping me improve my English,” Fang Ni says before adding she is also now quite well-versed in Indian culture, customs and food. Reading law being an arduous task, Fang Ni says she realised quite early on the importance of working very hard on her essays. Now that she has her amazing score and King’s College offer in hand, the elated Fang Ni says packing off to England is like starting a new life. The joy is all the more meaningful for the young woman since she had opted out of doing the UKT (UK Transfer programme) for the UOL (University of London) programme because her parents said they did not have the funds to send her abroad. Coming from one who’s destined to be a trailblazer in whatever field she chooses it’s certainly sound advice.